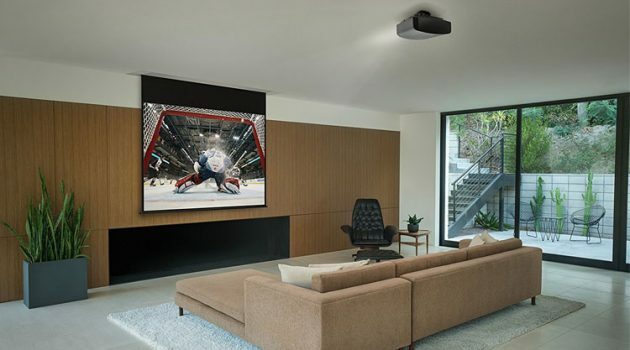 Smart sensors and smart motion detectors come in a range of shapes and sizes, however all of them carry out effectively the same role – allowing your connected devices to sense and respond to the environment in which they’re installed. 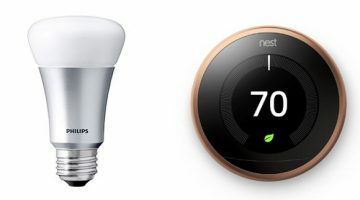 In this guide, we’ve taken a look at the best smart home sensors to help you achieve full device automation in your home. The ability to integrate home devices that ‘sense’ your presence or detect a change that causes them to respond automatically sits at the heart of building a fully automated smart home ecosystem. 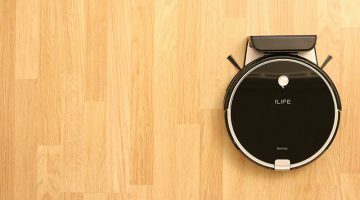 While voice control, phone interfacing, and scheduling are all powerful tools in the smart home device repertoire, having a camera ‘know’ when something has moved or smart lights that automatically activate when you’re approaching, takes the idea of a hands-free smart home to the next level. 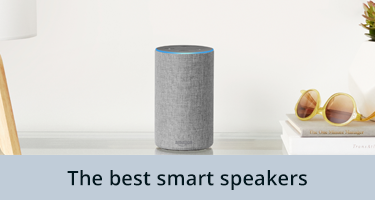 Undoubtedly it’s the devices themselves such as the smart cameras, intelligent thermostats, and smart speaker systems that ultimately get the job done, but when paired with some of the best smart sensors to help them effectively ‘see’ the world around them, the connected home experience suddenly gets a whole lot smarter. If smart lights, thermostats and security cameras are staples of the smart home, sensors are like the invisible network meshing everything together. Or, if you prefer, the eyes of the smart home. In connected device terminology, sensors (as the name suggests) are the component in a system which detects or ‘senses’ some kind of change in the environment – this could be anything from temperature changes to movement or alterations in light. Simply being able to sense these changes isn’t enough on its own though, and the other half of the smart sensor equation comes in the form of the devices which then ‘react’ to the sensory input. These devices are known as actuators and can be anything from a light bulb, to a speaker, or a door lock. If a smart motion sensor detects movement, this sensory input can be used to trigger the activation of a connected smart bulb (which would be the actuator in this example). Smart sensors aren’t just about activating other smart home devices though. Some sensors are designed to monitor things (like the weather) or to keep an eye out for any changes that you need to be immediately need to be made aware of (like smoke, carbon monoxide, and water leak detection). 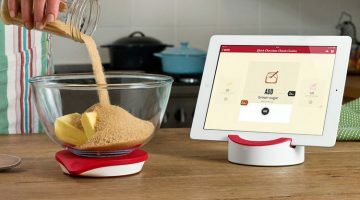 In this case, these kinds of smart sensors will often trigger an automatic response to a connected smart phone or tablet, letting you know about updates or changes as soon as they’re detected. Finally, there are those examples where smart sensors carry out both tasks at once. 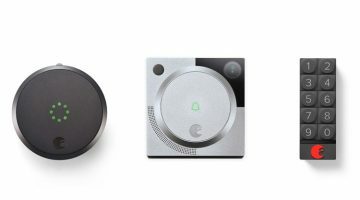 Good examples of this would be something like a smart video doorbell which may work alongside other connected smart home devices as well as sending you a smart phone notification if motion is detected. 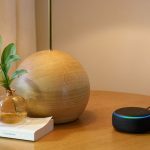 If a smart speaker system such as the Google Home and Amazon Alexa devices are the ‘ears’ which listen for commands, at the most basic level, smart sensors are kind of like the eyes of a smart home setup and can come in a number of flavors, detecting a whole variety of input types from the world around them. 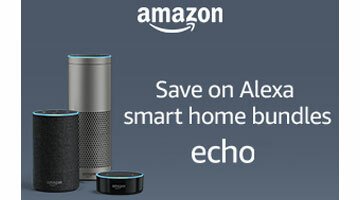 This makes them an essential components for creating a comprehensive automated smart home environment. Almost all of the best smart sensors are wireless (in fact it’s pretty much a pre-requisite in order for a smart sensor to actually be considered as smart) meaning you can place them pretty much wherever they’re needed. The main consideration if you’re setting up a smart sensor installation in your home is always therefore going to be around where the sensor in question is going to be most effective at carrying out the job. 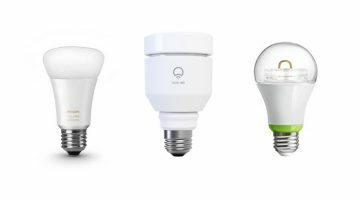 If you’re setting up an automated lighting system with motion sensor activation for example, the placement of the motion detector is arguably the most important part of the setup, ensuring your connected smart bulbs switch on at the correct moment, whether that’s when you go to the bathroom at night, or when unexpected movement is detected outside your home. 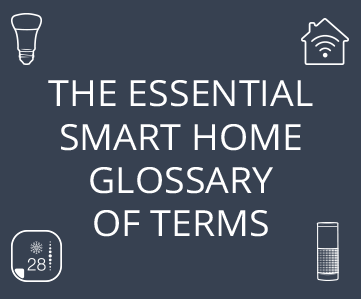 In this guide we’ve taken a look at the best smart sensors and detection devices for triggering your connected smart home gear and letting you know if something has changed. Without a doubt, motion detectors are one of the key ingredients in creating an automated, sensor-driven smart home system that responds to your needs without additional input. Smart motion sensors all do the same job in one form or another but can take a couple of different forms depending on the task. The most common type of smart motion detector is probably the standalone movement sensor which is installed on a wall, in a doorway, or generally somewhere in which external movement across the sensor’s field of vision will activate the device. This is the main sensor element of a motion activated smart lighting or connected smart device setup. Another kind of smart motion detection sensor are those which are designed for attaching to window and door frames, alerting you to any unexpected openings if a change is detected. This type of smart motion sensor is usually a core component of many of the best smart security systems and often combines well with a smart camera and alarm system to help automate the security of your home. 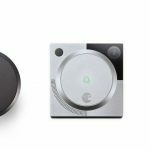 The SmartThings Motion Sensor is part of Samsung’s family of smart home devices by the same name and is about as comprehensive as they come when it comes to delivering smart motion detection ability. 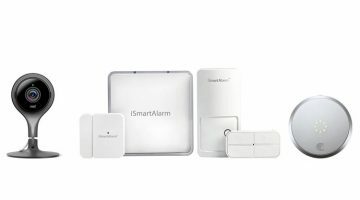 While the device requires the SmartThings hub or another similar hub with compatibility as a pre-requisite to setup, once this is in place, installation couldn’t be easier out of the box, meaning you’ll be able to activate motion detection and movement operated lighting within minutes. 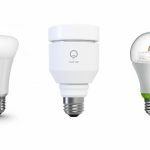 The SmartThings Motion Sensor includes the ability to send alerts whenever it detects unexpected movement in its line of sight making it an ideal element to a home security setup. On top of all of this, the latest version of Samsung’s smart Motion Sensor can also measure temperature in the room in which it’s installed. Water leaks and water related accidents are one of those things that you never expect and are often difficult to detect until it’s too late and the damage is already done. Smart water leak sensors take the uncertainty and unwanted surprises out of monitoring for leaks and make sure that if a leak is detected, you know immediately. 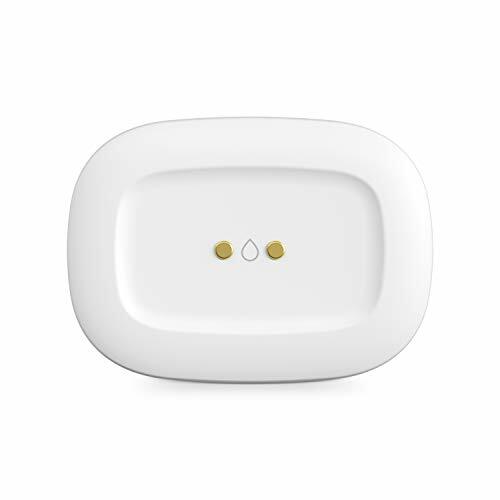 The SmartThings Water Leak Sensor is designed to watch over your water connections, monitoring for moisture and water leaks and alerting you to any changes as soon as they’re detected. As with some of the other smart sensors in the SmartThings range, Samsung’s water leak sensor is also able to monitor the temperature of your home providing alerts on the wider status of smart home and a useful addition for monitoring water pipes, particularly as it allows you to keep watch over any sudden changes in temperature which could cause knock-on problems. 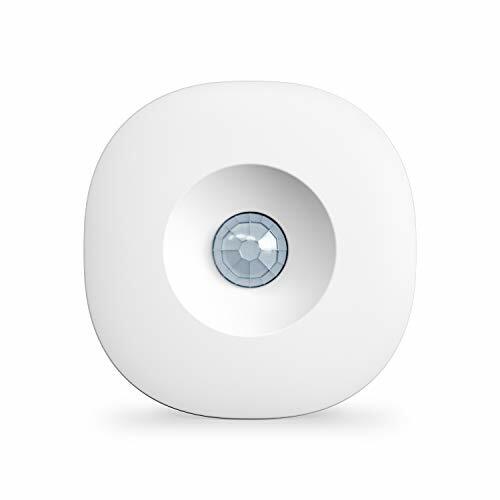 The SmartThings Water Leak Sensor requires the SmartThings Hub or another compatible device in order to operate but is incredibly easy to get up and running when slotted into the wider smart home ecosystem. 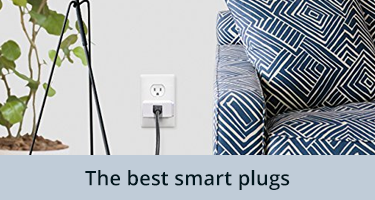 With the ability to either receive direct alerts or have other connected smart devices activate or deactivate if moisture is detected, this is one of the best smart water leak sensors for both cross-device compatibility and ease of use. The ability to record the temperature in your home is the preserve of smart sensors and you’ll often find that these will be tied to a smart thermostat device, a home weather station setup, or a combination of the two. A smart thermostat and temperature sensor pairing effectively allows a series of temperature sensors around the home to feed back to the temperature controller, ensuring that your thermostat is able to work at optimal efficiency. Some of the more sophisticated systems will take this functionality even further, checking rooms of the house for occupancy and adjusting the temperature accordingly. As with other smart home sensors, temperature and humidity sensors can be integrated with other smart devices to trigger activation or deactivation based upon changes in temperature – turning on the heating if it gets too cold, or switching on the fan if it starts to get hot. The integration of modular room sensors is one of the key components that makes the ecobee4 one of the best smart thermostats on the market. 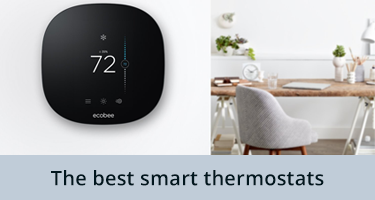 By measuring the occupancy an specific temperature of the rooms in which the sensors are placed, the ecobee4 is able to balance and optimize the temperature around your home, adjusting the thermostat to the optimal temperature if you’re at home, or for saving energy (and money) when you’re not. 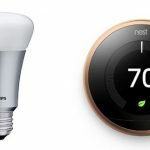 While the additional sensors are able to feedback to the device and provide it with accurate updates on the household temperature, it is of course the thermostat itself which is responsible for increasing the heat in response to these inputs. 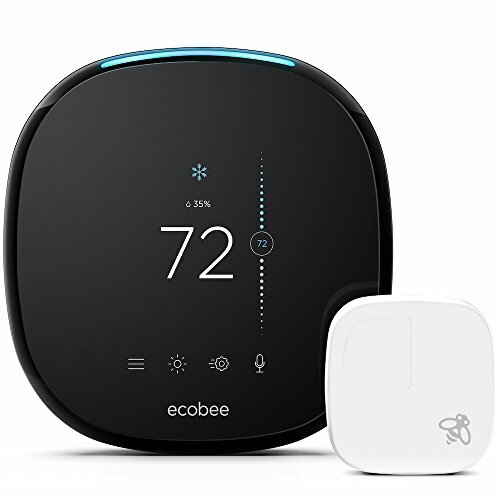 The ecobee4 has WiFi connectivity, can be controlled from anywhere through a connected mobile device, and even includes Amazon’s voice controlled assistant Alexa built-in as standard meaning you can adjust the temperature, play music, or control other smart devices around your home using your voice. Some of the best smart home camera systems include the ability to activate upon sensing movement or to send a notification or alert when motion is detected. The security benefits of this kind of functionality are an obvious main advantage of modern smart security cameras but some of the top smart indoor and outdoor cameras take this detection feature even further, allowing certain types of sensed movement to be ignored (for example not activating every time a pet walks past the device’s motion sensor). The Blink XT Home Security Camera is one of the best motion detecting smart cameras on the market, including extensive functionality for total smart home monitoring and alert notification. 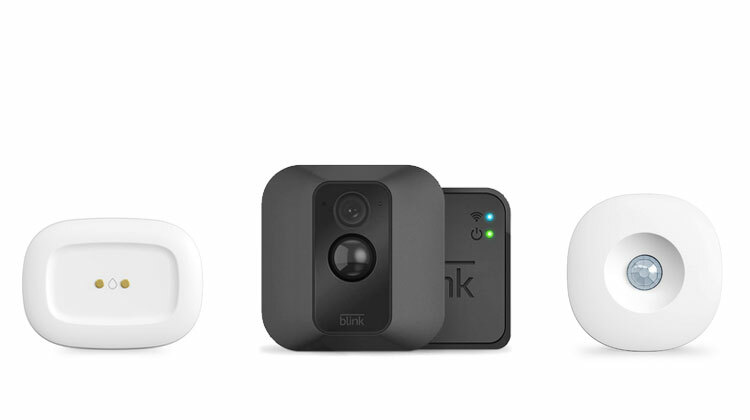 A weatherproof design makes the Blink XT ideal as a smart camera solution for use either inside or outdoors and the system is easily expandable with additional cameras once you’ve installed the Blink Sync Module (included with camera) into your setup. 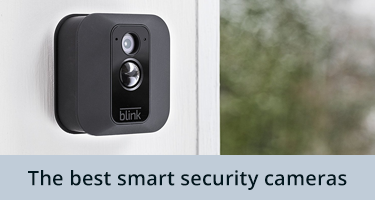 Widely regarded as one of the best motion sensing smart cameras on the market, the Blink XT includes a built-in passive infrared (PIR) motion sensor which is triggered when movement is detected by the device, with the camera subsequently sending an alert to a connected smartphone as well as recording a clip of the event and uploading to the cloud. 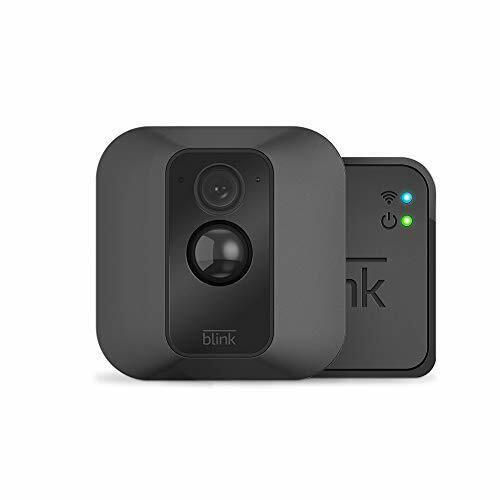 In terms of technical specs, the Blink XT utilizes a 720p HD resolution camera with a 110 viewing angle and the ability to capture images at night thanks to an on-board infrared light emitter. Home safety is one of the areas in which smart devices are having a major impact on how we interact with the home environment, letting us know the moment something doesn’t seem right. 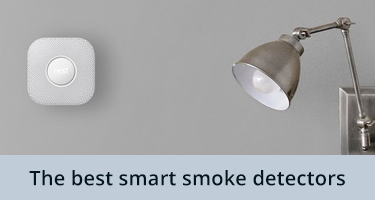 Smart sensors in this area are predominantly found in smart smoke and carbon monoxide detection devices as well as in smart air quality monitors which keep an eye on the air we breathe in our homes. 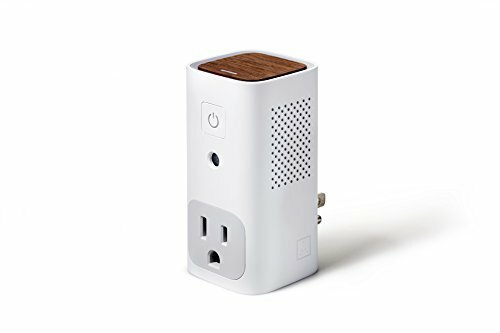 The Awair Glow is tracks everything from CO2, to VOCs, humidity, and temperature to keep you informed on the air quality around you. Personal preference modes are included in the Glow to allow you to monitor air quality indicators that can have a detrimental effect on things such as allergies, helping increase productivity, improving sleep quality, and generally leading to overall health benefits. The Glow also acts as a smart plug, allowing you to effectively turn any conventional appliance or device into a smart actuator which will automatically switch on if the device detects a drop in air quality.